S R Nathan died Monday weeks after suffering a stroke. Former Singapore President S R Nathan died Monday three weeks after suffering a stroke. Nathan, who had also served as a diplomat and an intelligence chief in the military, died at Singapore General Hospital on Monday at 9:48pm Singapore time. He was 92 and leaves behind his wife, daughter, son and three grandchildren. In a statement, the Prime Minister’s Office conveyed its condolences to his family. “The Prime Minister and his Cabinet colleagues are sad to learn of the passing of Mr S R Nathan and would like to convey their condolences to his family,” the statement read. 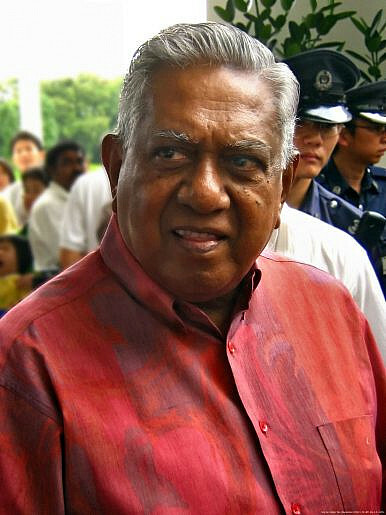 Nathan, whose full name is Sellapan Ramanathan, was Singapore’s longest-serving president, serving two six-year terms between 1999 and 2011 before being succeeded by Tony Yan Keng Yam. Though the position is still a largely ceremonial one compared to the prime minister, a constitutional amendment in 1991 gave it discretionary powers on certain areas including safeguarding the national reserves and appointing key personnel in the public sector and certain government companies. Before his tenure as president, Nathan served as high commissioner to Malaysia and ambassador to the United States. After he stepped down from his role in 2011, he held appointments as a distinguished senior fellow at the Institute of Southeast Asian Studies and at the Singapore Management University’s School of Social Sciences. Nathan was hospitalized and was in critical condition after suffering a stroke on July 31, his second in less than two years. Singaporeans showed up early Tuesday morning at the Istana to pay their respects and pen condolence messages for him and his family. According to the Prime Minister’s Office, a state funeral service will be held for Nathan on Friday at the University Cultural Center at the National University of Singapore. His body will lie in state at the Parliament House from Thursday up till Friday at noon for those wishing to pay their last respects. The city-state is mulling some potentially significant changes.